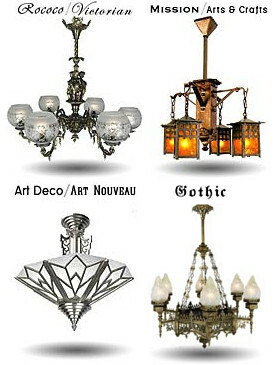 If you are searching for light fixtures from a particular historic era or that special style you need to suit your home - browse our lighting by period to make your shopping easier! 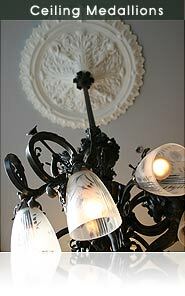 Hand-cast in durable plaster from Victorian originals, our ceiling medallions are incredibly popular among our customers. Our store offers a truly unique selection of replacement vintage glass shades you will not find anywhere else! From hard-to-find Art Deco slip shades - to Victorian glass ceiling bowls in a range of different sizes, Vintage Hardware & Lighting has been the trusted industry supplier for decades. If you're looking for light shade fitters and kits that will make your vintage lights easy to install, look no further than our Lighting Parts, Kits & Fitters especially designed for this job. Our company is also a pioneer in shaping the future of green, energy-efficient lighting with our line of induction and LED light bulbs. These light technologies contribute to unprecedented energy savings - combined with greatly extended lifespan. The energy saving lights we offer are fully compatible with all of our light fixtures, and nobody will be able to tell the difference!